Florida, a state that depends on water—fresh, estuarine, and marine—for its economy and cultural identity more than most other states is in a dire situation of its own making. Decades of water and natural resource mismanagement, recently accelerated, are coming home to roost. In 2018, red tide, classified as a harmful algal bloom (HAB), devastated the Gulf coast. But this crisis is not an outlier, it is part of the new normal. In recent years, there have been HABs in the Caloosahatchee River, St. Lucie River, St. Johns River, Florida Bay, and the Indian River Lagoon. Indeed, at some point in the last few years much of Florida’s estuarine waters have been impacted by HABs. The organism that causes red tide, Karenia brevis, is natural to Florida’s Gulf coast. The red tide blooms in this region originate offshore, and depending on environmental conditions like winds and currents can move inshore. Despite being a naturally occurring phenomenon, recent research suggests that human-introduced nutrients are worsening the situation. A scientific study published in 2007, for example, found that red tide was 20-fold more abundant in coastal waters (where it encounters nutrient-laden runoff) than in offshore waters where red tide originates. The study also found that red tide was 13-18-fold more abundant in recent years (1994-2002) than historically (1954-1963), and that the seasons in which red tide occurred had expanded from mostly in Fall to now include Fall, Winter, and Spring. Similar crises are occurring throughout Florida. Because Everglades restoration has stalled, not enough freshwater flows from Lake Okeechobee into the Everglades and then into Florida Bay. In 2016, this lack of freshwater caused algae blooms, fish kills, and an extensive seagrass dieoff in Florida Bay. This is a repeat of the late 1980s, a problem that was supposed to be fixed by now. The water not flowing into the Everglades is instead being discharged into the St. Lucie River and Caloosahatchee River, where it has caused an HAB so toxic that human contact is dangerous, not to mention killing seagrasses, oysters, and fish. The nutrient-laden water flowing out of the Caloosahatchee River is also a likely source for enhancing red tide blooms. A recurring HAB in the Indian River Lagoon, this caused by a “brown tide”, has resulted in extensive seagrass die-offs and fish kills. In recent years the St. Johns River has experienced HABs of its own. Even some of Florida’s famous freshwater springs are experiencing algae blooms. The common theme for these crises is mismanagement of Florida’s water resources. The first problem is the alteration of freshwater flows into coastal waters. The watershed of the Caloosahatchee River once was limited to southwest Florida. It now drains Lake Okeechobee’s watershed which stretches to Orlando. And the Everglades and Florida Bay are nearly entirely cut off from the freshwater flows they used to receive. A similar scenario plays out at smaller scales for Florida’s other coastal waterways. The second problem is that far too many nutrients are entering freshwater lakes, streams, and rivers, which then empty into coastal waters. These nutrients come from Florida’s phosphate mining industry, outdated sewage infrastructure, extensive use of residential septic systems, and agricultural and stormwater runoff, and use of fertilizers on lawns. These nutrient sources not only contaminate the surface waters, but also the aquifers – the amount of nutrients in Florida’s groundwater are far too high. These groundwaters then seep into coastal waters through Florida’s limestone base. All of this has a negative impact on Florida’s economy. Combined, recreational and commercial fisheries generate more than $27 billion for Florida’s economy. These fisheries depend upon good water quality and healthy habitats. As the health of Florida’s water and habitats have declined, so have the fisheries—incomes have declined, jobs have been lost, and businesses have closed. In 2018, BTT and its partners in the Now or Neverglades coalition made significant progress in the fight to restore the Everglades. Thanks to the support and advocacy of our members, BTT joined with its Now or Neverglades partners to successfully advocate for passage of “America’s Water Infrastructure Act of 2018,” which represents another major step in the decades-long battle to save the Everglades. The proposed reservoir will send more clean fresh water south to the Everglades and Florida Bay while at the same time curtail damaging discharges from Lake Okeechobee to estuaries on Florida’s east and west coasts. Although we are proud of that success, the fight is just beginning. Much work remains as we shift our focus to securing the federal appropriations needed to construct the reservoir, but we are heartened by the commitments made and actions taken by Florida Governor Ron DeSantis to support the effort and provide new hope for Florida waters. We also need to expand these efforts from the iconic Everglades to the many other estuaries in the state suffering from similar problems. We urge you to stay informed by following our social media and signing up for our monthly e-newsletter. We also urge you to support our Habitat in Fisheries Management initiative by learning about the importance of habitat and water quality to our fisheries, and advocating to make habitat a top priority. 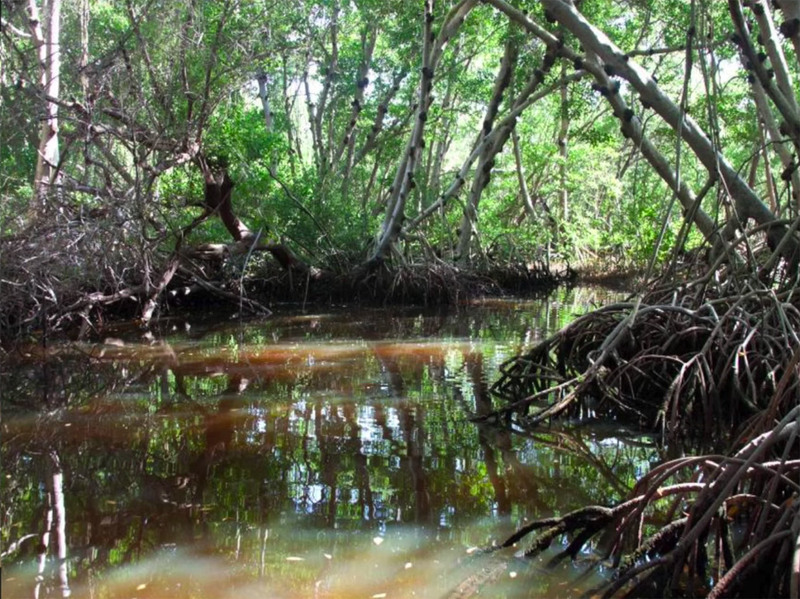 Together, we can make a meaningful difference for the Everglades and Florida Bay. The future of our beloved fisheries depends on it.